Download and print off this set of very awesome cross cupcake toppers with eggshell chalk to use in decorating your baptism or Easter party cupcakes. There are twelve cupcake toppers per sheet – each approximately 2 inches round. 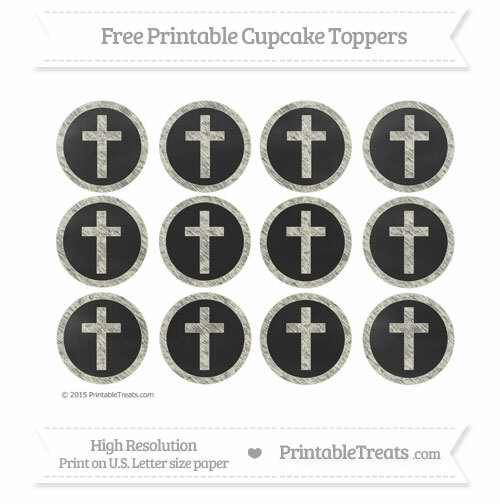 Each cupcake topper has a blackboard background, chalk-style border and a colorful chalk-style cross on the inside.